Ralph loves Ana and each of his adopted children. If you’ve been to many camp meetings across the country, chances are you’ve sat under the bold preaching or inspirational worship leading of pastor and evangelist Ralph Watts. The pastor emeritus of Columbus West Church of God in Columbus, Ohio, is used to sharing Bible stories and passages that point to Jesus Christ. But his own story points to Christ, too, one that is nothing short of remarkable. He and his wife Karen have fostered a total of thirty-five special needs children over the years, and have adopted fourteen. 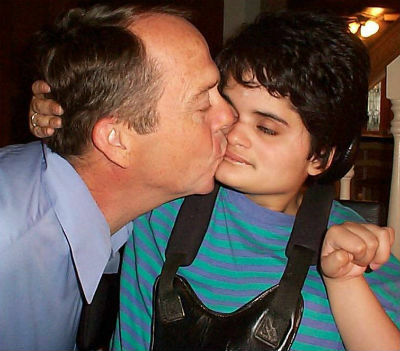 “Before Karen and I were married,” Ralph reflects, “we were discussing having a family and she made me promise that, after we had our children, we would adopt one special needs child. While we were pastoring the Columbus West congregation, one day at lunch Karen reminded me of that promise and suggested it was then time to follow through. I gave the okay, and she signed us up for adoption classes.” That was just the beginning, and neither of them could have imagined the scope of the amazing, yet agonizing adventure upon which they’d just embarked. Shelly was an absolute delight. 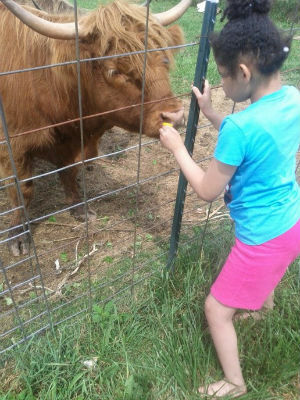 Vanessa with one of the Watts family cows. One year after they adopted Ana, the county contacted them about adopting a brother and sister. They did. What transpired from there is history, a complicated mix of searing emotional pain and rich blessing too deep—too wonderful—for words. • All fourteen of their adopted children, including boys and girls, have been mentally challenged. • Half could not speak. • Five have been wheelchair-bound. • Two have had cystic fibrosis. 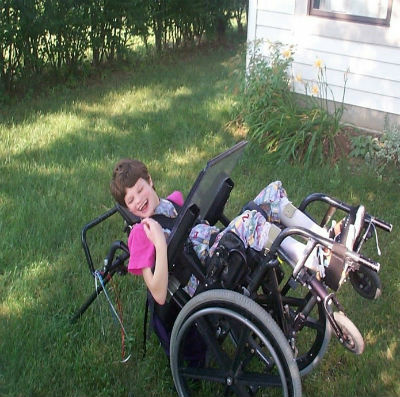 • Two have suffered from Angelman syndrome. • Three had feeding tubes. • All experienced physical, emotional, sexual, or drug-related abuse, and most of their challenges are a result of these abuses. The public wasn’t always very gracious, either. Family road trips were marred with refusals of service while eating out. Government regulations, intended to make things better, often made things worse. Hospital visits were routine, and the Watts had to endure the deaths of a few of their own. But through it all, God’s light shone brightly through this incredible family, strengthening their faith and the faith of others. Through their experiences, the couple was able, with the partnership of Bishop Timothy Clarke and First Church of God, to establish Eagle’s Nest, a home in the inner city for special needs children. For thirteen years, Ralph and Karen lived in the inner city as God took care of the needs of that house. The full story of Eagle’s Nest and the years surrounding is replete with miracles and examples of God’s timely provision. 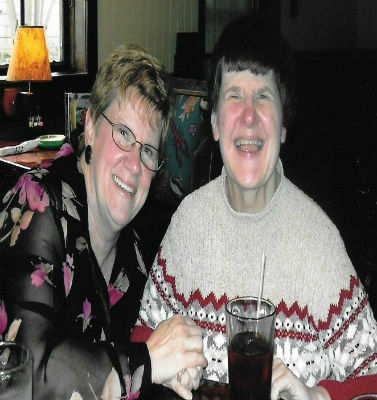 Karen with her sister Ann. Today Ralph and Karen continue to offer their ministry of tender love and care, as they have taken in Karen’s sister, who is also wheelchair bound, unable to speak, and medically fragile. They have five of their adopted children still living with them, ranging from the early teens into the forties. One of those, their adorable Ana—whose adoption would change her life and the life of her new parents forever. In Ohio, across North America, and around the world, God is on the move in the Church of God. Join the movement. Reach our world. Donate today at give.jesusisthesubject.org. This entry was posted in All Church of God, Great Lakes and tagged adopting, Adoption, children, Columbus, Columbus West Church of God, disability, foster care, fostering, handicap, Karen Watts, kids, mentally challenged, OH, Ohio, Ralph Watts, special needs, students, Timothy Clarke. Bookmark the permalink.